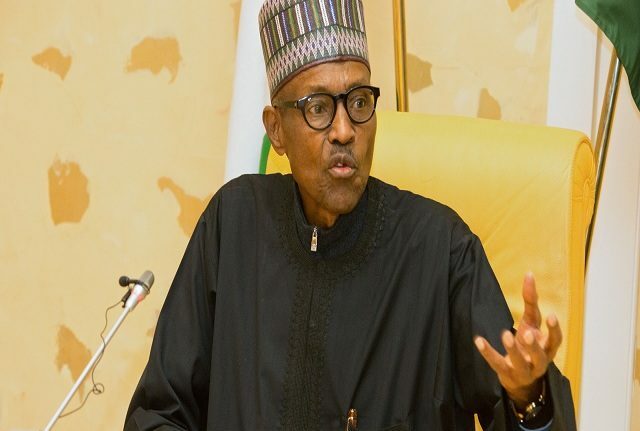 PRESIDENT Muhammadu Buhari has been urged by the apex socio-cultural and political organisation of the Ogoni ethnic group, KAGOTE, to intervene in the feud between the Transportation Minister, Rotimi Amaechi, and the lawmaker representing Rivers Southeast Senatorial District, Senator Magnus Abe, ahead of 2019 elections. President of KAGOTE, Peter Medee, of the University of Port Harcourt (UNIPORT), disclosed in an exclusive interview yesterday in Port Harcourt, Rivers State, that besides seeking President Buhari’s intervention, letters were also sent to Amaechi and Rivers governor, Nyesom Wike. Wike allegedly granted the request for a courtesy visit, and approved the upgrade of state-owned Ken Saro-Wiwa Polytechnic, Bori-Ogoni, to the University of Environment. 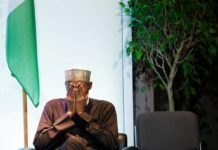 Medee disclosed that KAGOTE’s request to pay Buhari a courtesy visit has been delivered in Abuja by a prominent Ogoni leader, although no date has been fixed for the visit. 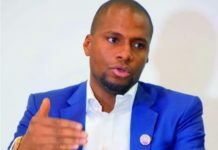 The group, however, wishes to meet President Buhari before the governorship primaries of the All Progressives Congress (APC), to ensure peace in Rivers State and put an end to the face-off between Amaechi and Abe. The group’s acronym, KAGOTE, derives from the four Local Government Areas (LGA) in Ogoni: Khana, Gokana, Tai and Eleme; KAGOTE was founded in 1947 when Ogoni’s separate administrative division was created from Opobo. It gave birth in 1990, to the umbrella organisation of Ogoni people, the Movement for the Survival of the Ogoni People (MOSOP), which was formed to carry out the objectives in the Ogoni Bill of Rights (OBR), adopted on August 26, 1990 by Ogoni people at Bori, the traditional headquarters of Ogoniland. 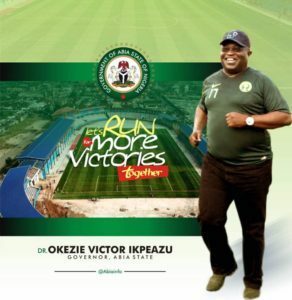 The transportation minister, Amaechi, who hails from Ubima in Ikwerre LGA of Rivers state, is a former governor of the state (2007-2015) and an ex- Speaker of the Rivers House of Assembly (1999-2007), while Abe, a former Secretary to the Rivers State Government (SSG), when Amaechi was governor, is an indigene of Bera-Ogoni in Gokana LGA. Wike, a former Minister of State for Education and ex-Chief of Staff to Amaechi, hails from Rumueprikom- Port Harcourt in Obio/Akpor LGA of the state and he is seeking reelection in 2019 on the platform of the Peoples Democratic Party (PDP). Abe, a governorship aspirant of the APC in 2015, wishes to take over from Wike on May 29 next year, on APC’s platform. Amaechi is pushing for a riverine person as the governorship candidate of the APC in 2019, since upland persons had been governor since 1999 (Dr. Peter Odili, Sir Celestine Omehia, Amaechi and Wike), while Ogoni leaders are insisting that since the creation of Rivers state on May 27, 1967, no Ogoni person has become governor, deputy governor, speaker of the House of Assembly or chief judge of the state. According to them, this injustice and marginalisation of the area rich in crude oil and gas must now be addressed. The group’s letter to President Buhari, dated November 10, 2017, stated: “The Executive Committee and General Congress of KAGOTE at their meeting held on Sunday, November 5, 2017, at Wiiyakara-Ogoni, Khana LGA of Rivers State, resolved to seek audience at a date and time convenient to your Excellency. 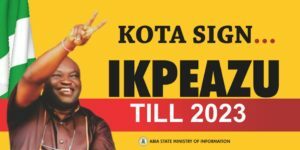 “KAGOTE is a platform that champions the peace, unity, interest, progress and development of Ogoni people at home and in the Diaspora. 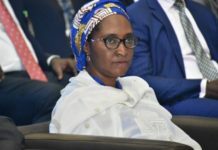 “This request for audience is predicated on our desire to thank you for the laudable projects done in Ogoniland, including the implementation of the report of the United Nations Environment Programme (UNEP) and the Bodo- Bonny Road, as well as the section of the East-West Road, from Onne Junction to Port Harcourt in Ogoni Kingdom.” The letter was signed for KAGOTE Ogoni Worldwide by Medee; the President of the Supreme Council of Ogoni Traditional Rulers, His Majesty, King Godwin Gininwa; KAGOTE’s First Vice President, King Emere Godwin Bebe-Okpabi; Second Vice President, Chief Barikunra Kabaari; and the Third Vice President, Chief Mike Nwielaghi; who are still awaiting approval for the special visit. The group’s letter to Amaechi was delivered by courier (DHL) and dated November 6, 2017. It stated that the meeting with the transportation minister would be at a place, date and time convenient to him. The request to see Amaechi, a former Chairman of the Nigeria Governors’ Forum (NGF) was predicated on seeking ways and means to better the lots of Ogoni people and advance their continuous support base for Amaechi. 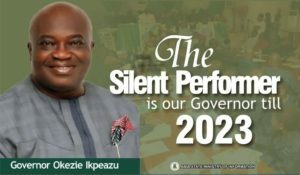 “Your Excellency would recall that this is the group (KAGOTE) that was at the forefront of galvanising support for your successful tenure as Executive Governor of Rivers State in the recent past and KAGOTE members are still in full support of your political prospects. “We count on this longstanding relationship with our people to seek your kind consideration of this visit of our delegation,” said the group. The organisation enjoyed a very successful visit to Wike at the Government House in Port Harcourt as the governor acceded to all its demands. 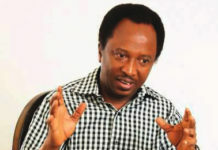 Medee, in the address he presented to the Rivers governor on behalf of KAGOTE during the courtesy visit, stated in “clear and unmistakable terms” that the organisation, though sociopolitical, is non-partisan, comprising members from all the political parties, describing himself (Medee) as a founding member of the APC. Some of KAGOTE’s leaders who joined Medee to pay Wike the courtesy visit, included the immediate past Vice-Chancellor of the Rivers State University (RSU), formerly Rivers State University of Science and Technology (RSUST), Port Harcourt, Prof. Barineme Fakae; a former Rivers Attorney- General and Commissioner for Justice, Chief Barinua Moses Wifa, SAN; King Emere Godwin Bebe- Okpabi; Hon. D. K. Badom; Hon. L.G.A. Korsi; Hon Friday Nke-eh and Mike Baah. In his address to Governor Wike, Medee urged him to consider the following passionate requests of Ogoni people: conversion of Ken Saro-Wiwa Polytechnic into a full-fledged University of Environment, considering the environmental degradation suffered by Ogoni people and the need to address it urgently. He also pleaded with Wike to “Assist the committee already set up by KAGOTE to facilitate the return and resettlement of over eight hundred Ogoni refugees still stranded and facing hardship in Benin Republic. “Your Excellency should prevail on the Federal Government of Nigeria to rescind its decision to establish a federal prison and cemetery in Ogoniland. 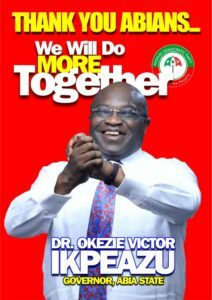 Rather, we request an industrial park for the employment of the youths,” he said. Medee also called on the Rivers governor to upgrade the pioneer Government Secondary School, Kpite- Ogoni, Tai LGA to a fullfledged boarding school, while adding that the courtesy visit was not to endorse Wike for second term. The Rivers governor, in his response, agreed to the upgrade of Ken Saro-Wiwa Polytechnic to University of Environment, with a committee immediately put in place on the matter. He also assured that the construction of Bori-Kono axis of the Saakpenwa-Bori- Kono Road would be expedited, and promised that all Ogoni people stranded and suffering in Benin Republic will be returned and resettled in the state. Kenneth Kobani, an Ogoni and SSG to the state government, was asked to liaise with KAGOTE’s committee and see to the implementation of the group’s demands. Addressing KAGOTE’s complaint that the Ogoni are yet to occupy some of the highest offices in the state, Wike stated that Ogoni people must unite and struggle for power, stressing that power cannot be given on a platter of gold, but contested. Wike also assured that he would build a health facility in Tai LGA, the only council in the state that is yet to receive the attention of his administration.